Nostalgia week continues with Apple ][, Pascal, and old-fashioned newsletters! Hot on the heels of our celebration of the BBS, here’s a pair of retro stories to ease your transition into the weekend. First up is “Pascal Spoken Here“, by Ian Bogost about the subtle shift over the years in how we view computers. 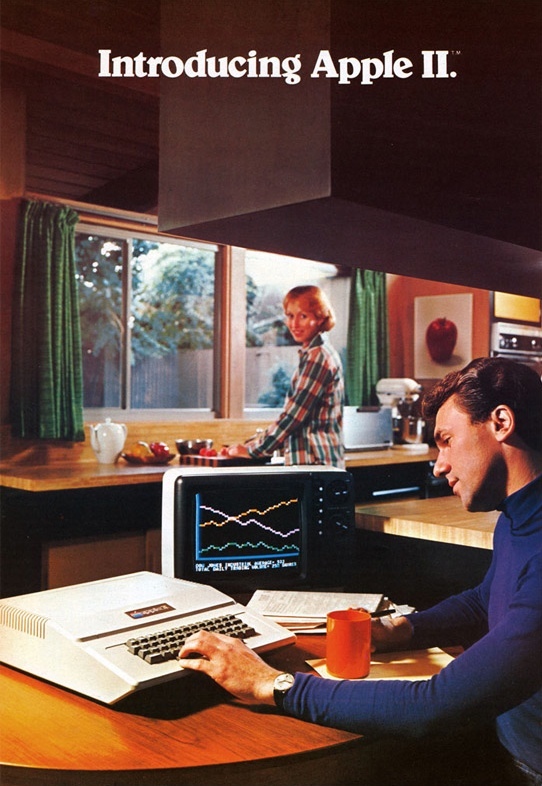 Back in 1977 the advertising clearly identified the connection between using, exploring, and learning a computer in ways that you simply don’t see any more. Next up is a blast from the past on Slashdot with a wonderful scan of a computing newsletter from the 1980s. The first link above is interesting in a several contexts. The notion that learning to program is a fundamental aspect of using a computer is long dead. Today, a computer is simply a tool. Maybe it’s because there exists a wealth of pre-programmed utility applications today that simply weren’t available when the computer first became personal. Maybe it’s the natural evolution of any new technology, as the early adopters trailblaze the thing into commodity. Maybe we all missed a very important opportunity. What do you think? Feel free to share your nostalgia in the comments. Bonus points will be given to links to historical artifacts like those in the links above.